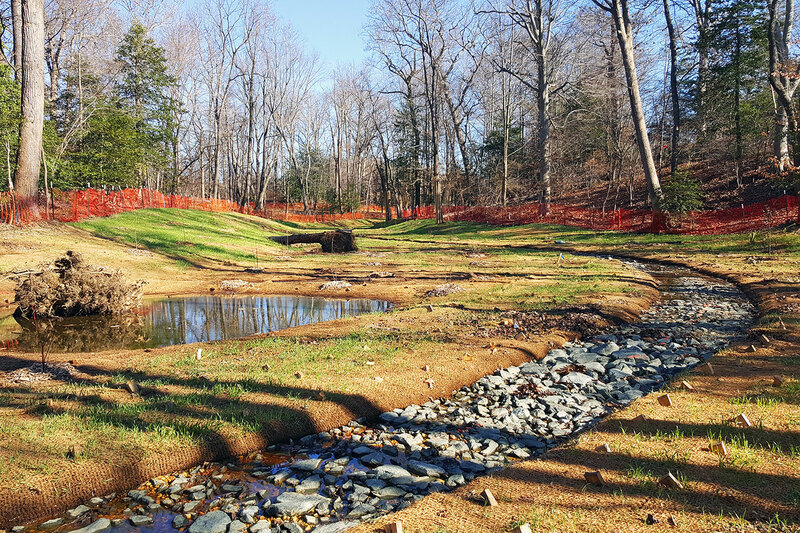 Century’s water and environmental resources engineers answered the call when a rapidly-eroding section of the South River Watershed was in desperate need of restoration and improvement. Prior to its restoration, the project area consisted of approximately 2,700 linear feet of channel and several acres of floodplain surrounded by steep slopes, commercial developments, parking lots, and highways. 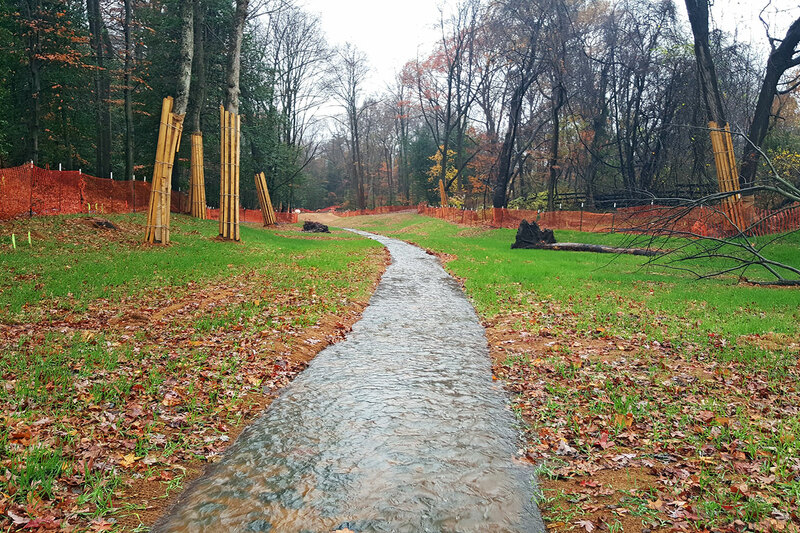 Stormwater from the urbanized tributaries was allowing high levels of nitrogen, phosphorous, and sediment loads to enter Broad Creek, and eventually the Chesapeake Bay. 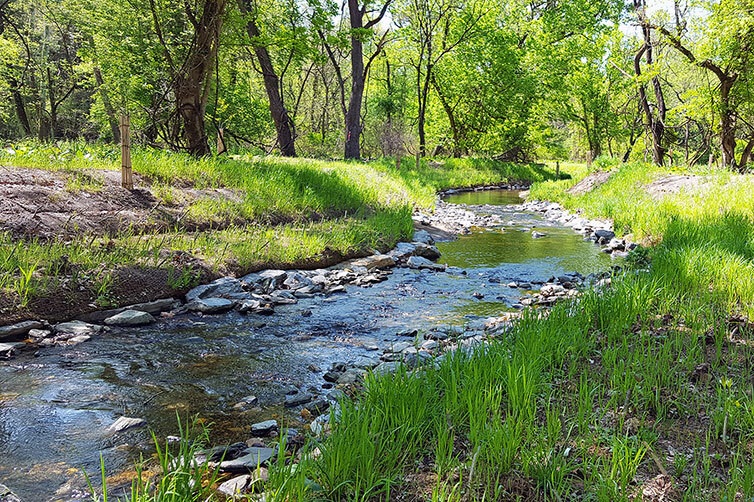 To achieve the overall project goal of restoring the site’s stability and ecological function, the causes and mechanics of the existing stream’s instabilities had to be identified correctly. Century performed a meticulous assessment of the physical and geomorphic features to fully understand the process of degradation. 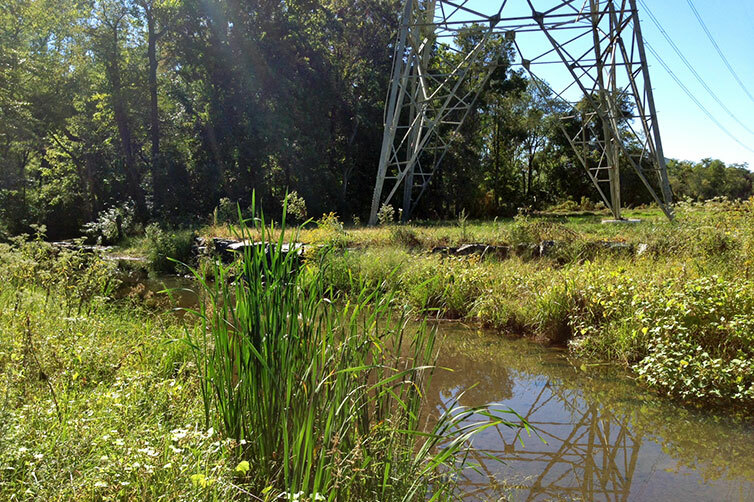 Following extensive agency coordination, Century’s final design plans for the restored wetland valley increase floodplain connectivity and ensure long-term stability by creating critical micro-habitat conditions, increased retention of carbon, sediment, and nutrients, and increased groundwater elevations.